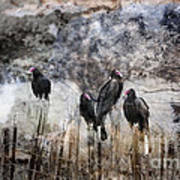 I really like the way you processed this. Sets a great mood. 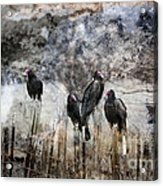 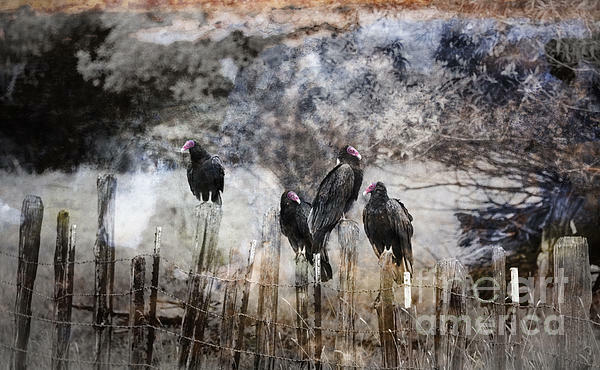 This is photograph of vultures sitting on fence posts was enhanced with tools in my digital darkroom to create this result.